Someone thought about painting this house for a long time, then varnished the door. It must have been the great character of the door that revealed the idea of the blue Matisse found at the end of his life for his cutouts. 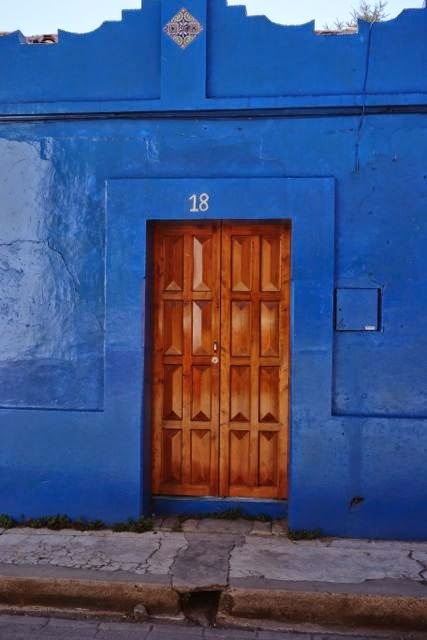 This person may have had to convince someone else of the rightness of Matisse's blue, then had to put enough on the wall to cover ten decades of blemish, always careful to keep #18 exposed.